The IDF releases video showing Israeli Navy commandos boarding the "Victoria” ship, which was on its way to smuggle deadly weapons into Gaza. No was injured in the operation, and Israeli officials will make a full inspection of the camouflaged weapons Wednesday morning. 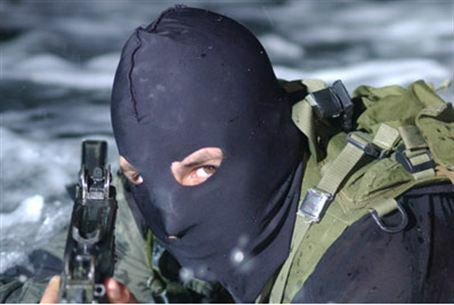 "The Israel Navy operation prevented the smuggling of weapons which had strategic importance to the Gaza Strip," said Navy Deputy Commander Rani Ben-Yehuda. The contraband was headed to Egypt, where terrorists were to smuggle them into Gaza through tunnels.